The site of the present building, now a private house, on the north side of the Market Place was sold by Steven Bignold to the Reverend Steven Bevan in trust to build a parish school. The school opened in 1848, possibly receiving small grants from the Church of England and Juby’s Charity as well as income from fees paid by pupils. The school was managed by a group of trustees. The 1870 Education Act signalled government recognition of the need for a better educated populace and established a nationwide system of school boards. A board for New Buckenham was elected in 1875, the school building being leased to the new board at a peppercorn rent of one shilling per annum. In 1899 the school board negotiated a new lease with the trustees. Some building works and refurbishment were done. The Balfour Education Act of 1902 however abolished school boards and established local education authorities. 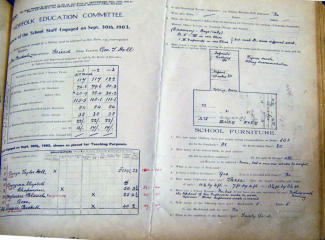 A year later the new Norfolk Education Committee undertook a survey of all schools. 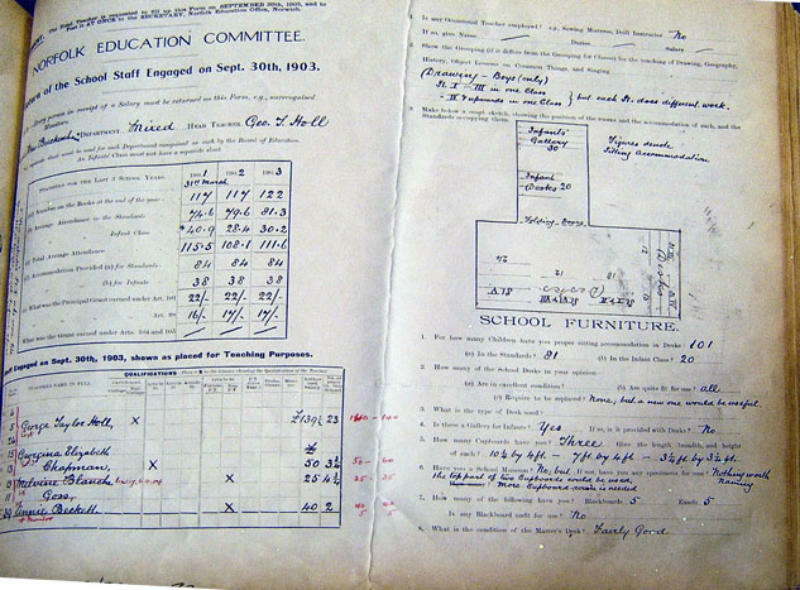 Each school had to complete an inventory, staffing, arrangements for teaching, school plan and school furniture. Over the next seven years there were protracted disputes between local authority and school managers about terms of the lease of the building. While the dispute raged, New Buckenham’s school was “black listed”. 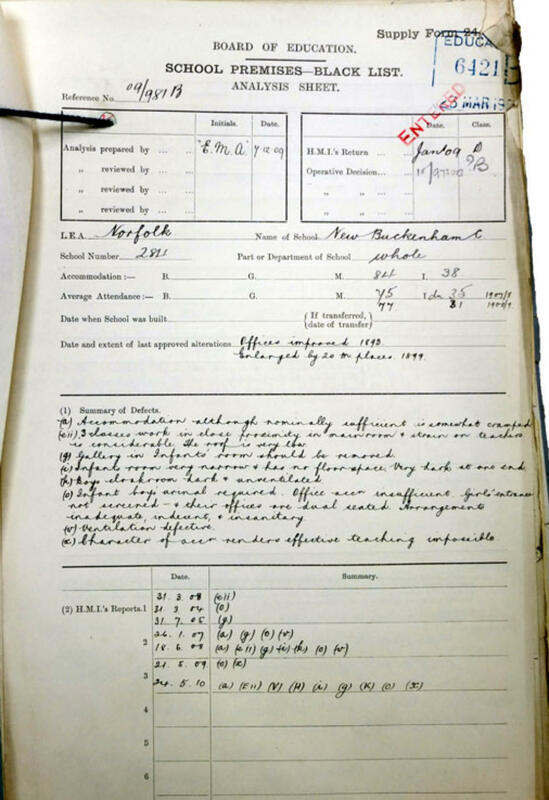 Inspectors’ visits from Department of Education (1904, 1905, 1907, 1908, 1909 and 1910) recommended alterations and repairs, none of which were carried out. “Improvements delayed through failure of the Norfolk Education Authority and the trustees to amicably arrange conditions of lease under which the school should be continued”. The Authority threatened to build a new school (at ratepayers’ expense) and forced a new lease to be drawn up. The school was closed for repairs for six months in 1912 and teaching was transferred to the parish room (old village hall).